A lovely visit to Savannah brought about this painting. 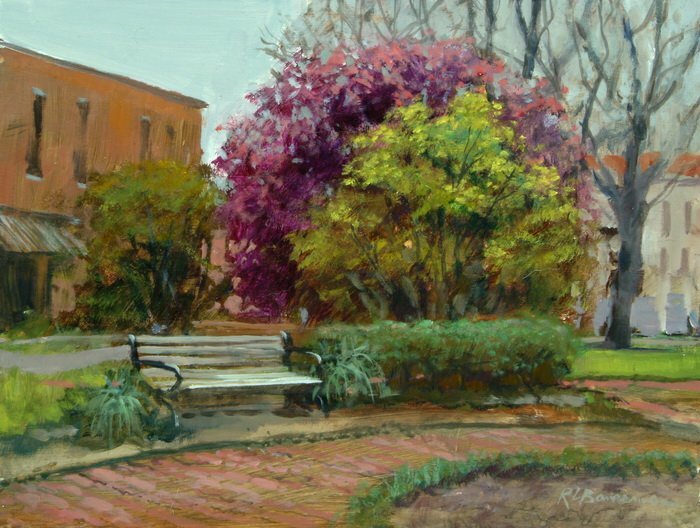 Sarah was wandering the town when I sat down with my paints and did this park bench scene. I was taken with the reds and greens of the trees which make up the center of interest in this piece.